That's such a clever and original idea! I've seen this idea before - so simple, yet effective. 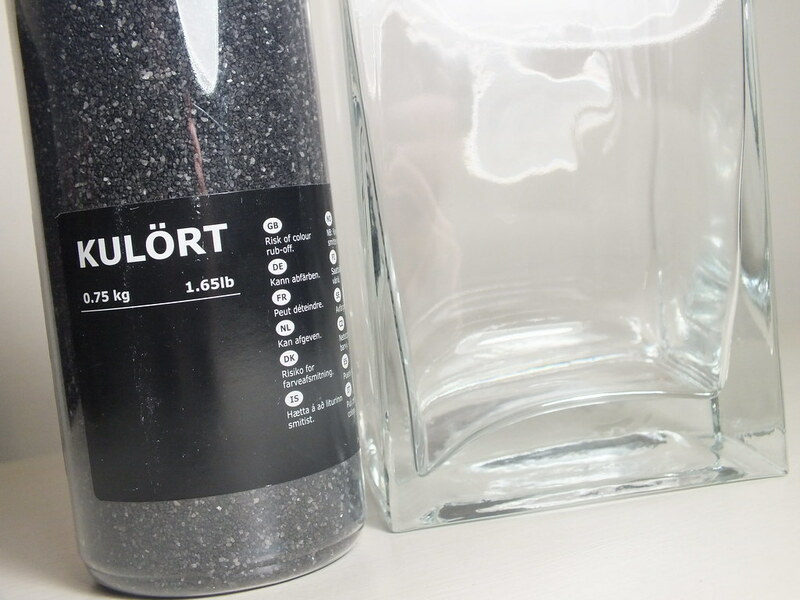 You can always keep your eye out for different coloured crushed glass or coloured sand. This is such a lovely idea, I really like how it looks! 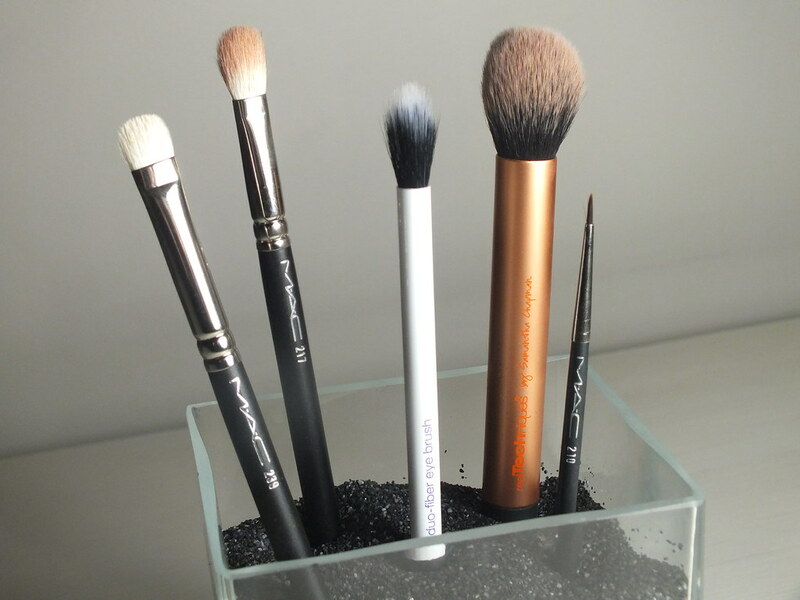 My brushes are currently stashed away in a drawer but I'd prefer something like this! 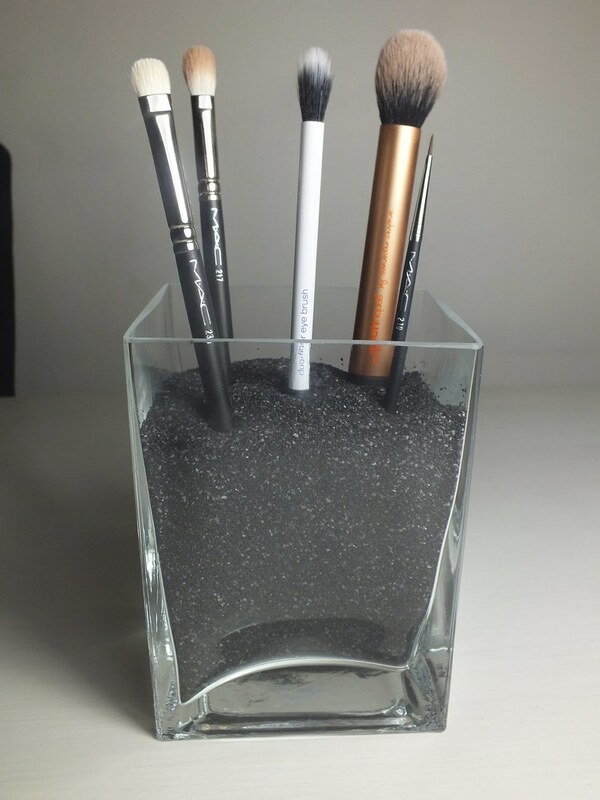 Love this idea, think I may have to take a little trip in the new year when I finally organise my make up space. 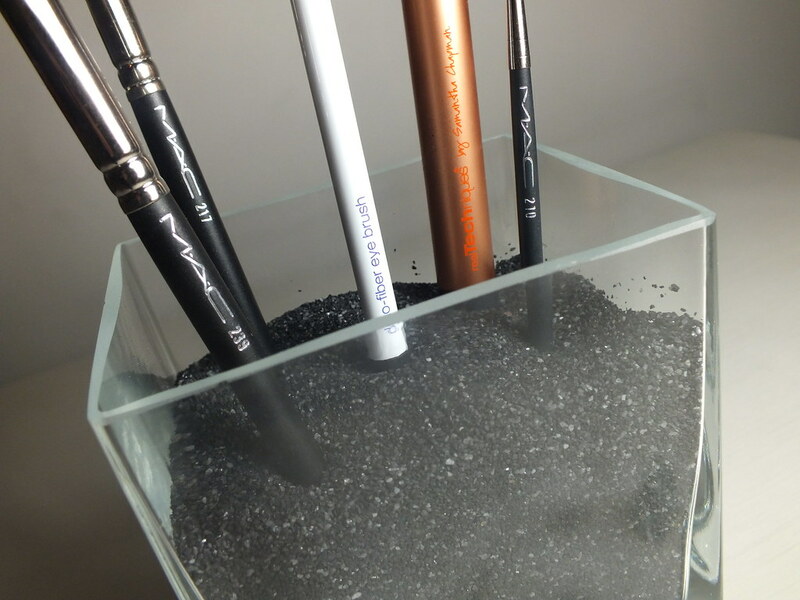 This is such a cool way to organise brushes! Great idea, I use only candle Jars for mine but they are slowing over taking my desk! I would love to find a long shallow vase for the back of my desk to do this with!